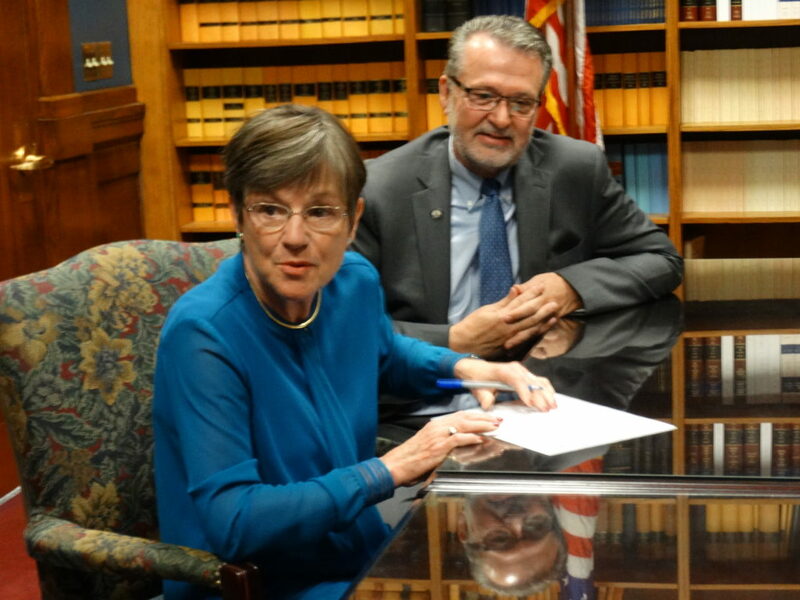 Sen. Laura Kelly officially filed for governor in the Democratic primary Thursday, May 31, 2018, along with her running mate, fellow Sen. Lynn Rogers, of Wichita. 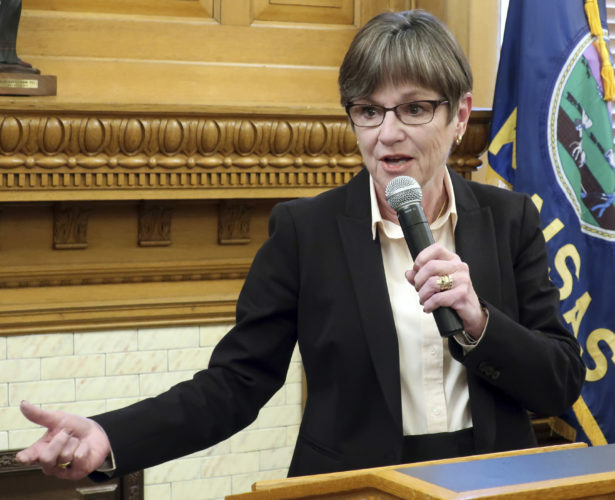 Topeka — Democratic state Sen. Laura Kelly, of Topeka, officially filed in the race for governor Thursday, saying that if elected, her administration will focus on education, health care and reviving the Kansas economy. Speaking with reporters after she and her lieutenant governor running mate, fellow Sen. Lynn Rogers, of Wichita, paid their filing fee, Kelly said education is the No. 1 issue that she hears voters talking about this year. “And that ranges, really, from early childhood through our higher education system,” she said. Kelly also said she hears more people talking about expanding the state’s Medicaid system under the Affordable Care Act than ever before. Kelly was first elected to the Senate in 2004 and has served three and a half terms. She is the ranking Democrat on the Senate Ways and Means Committee and the Public Health and Welfare Committee. 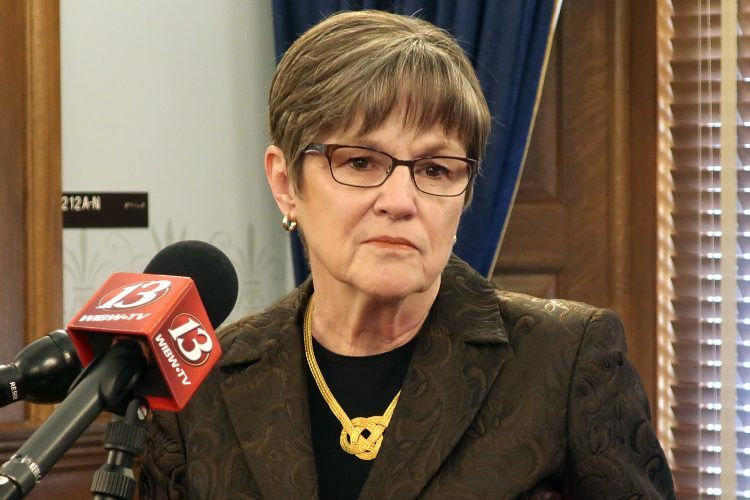 She also serves as assistant minority leader in the Senate. Rogers is serving his first term in the Senate. Elected in 2016, he took over a seat formerly held by a Republican, Michael O’Donnell. 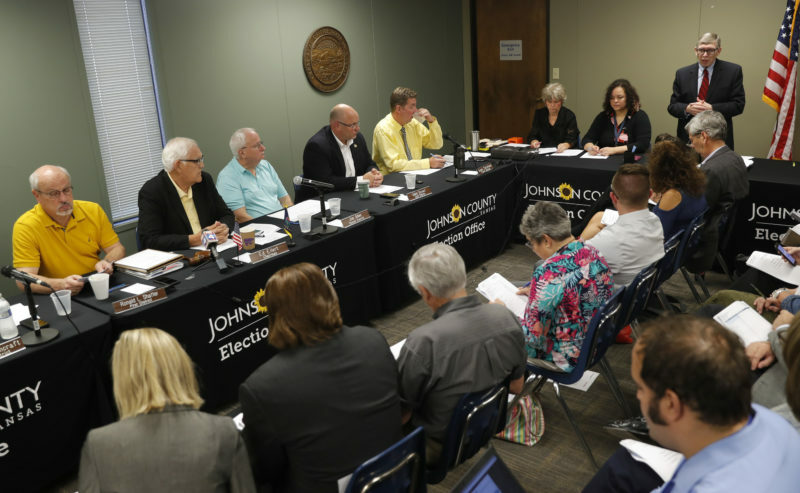 He is also a former member of the Wichita school board. Kelly first announced her plans to run and formed a campaign committee Dec. 15, months after three other candidates had jumped in. But in the last two weeks of the year, she raised over $155,000, more than some of the other candidates, in part with the help of former Democratic Gov. Kathleen Sebelius. That has led some Republicans to remark that electing Kelly would be akin to giving Sebelius a third term, but Kelly rejected the comparison. In 2014, former Rep. Paul Davis, of Lawrence, was the Democratic nominee, and he too ran a campaign that focused largely on education and health care. 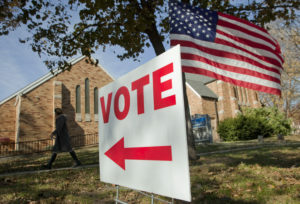 Davis, however, lost that election to Republican incumbent Sam Brownback by 32,000 votes. Kelly, however, said the political landscape in Kansas in 2018 is very different. 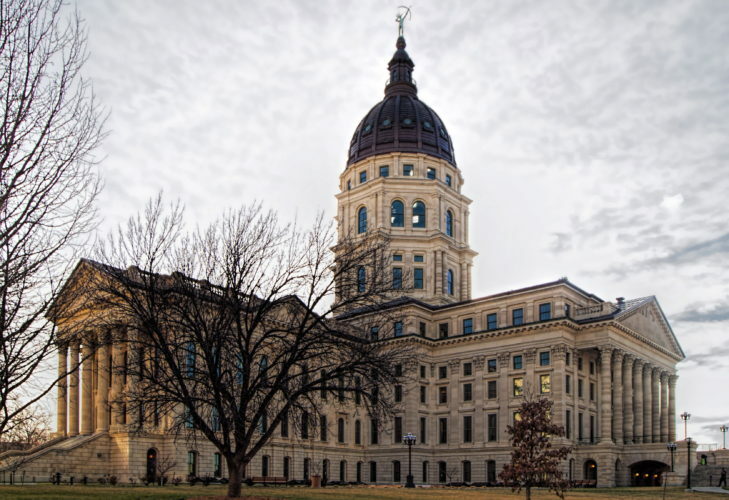 Kelly also said she intends to focus on improving the Kansas economy, and suggested she would try to re-establish something like the Kansas Bioscience Authority, a quasi-public agency that made direct investments in emerging bioscience companies. The state liquidated its holdings in that entity in 2016, in part to raise money to help close the state’s budget deficit that year. But Kelly said it was because of that agency that Kansas was able to land the National Agro- and Bio-Defence Facility, or NBAF, in Manhattan, which she said has been an economic boon to that area’s economy. Kelly faces two major competitors in the Aug. 7 Democratic primary: former Wichita Mayor Carl Brewer; and former Rep. and former state Agriculture Secretary Joshua Svaty, of Ellsworth. House Minority Leader Jim Ward, of Wichita, also had announced plans to run, but he recently dropped out of the race and filed for re-election to his House seat.